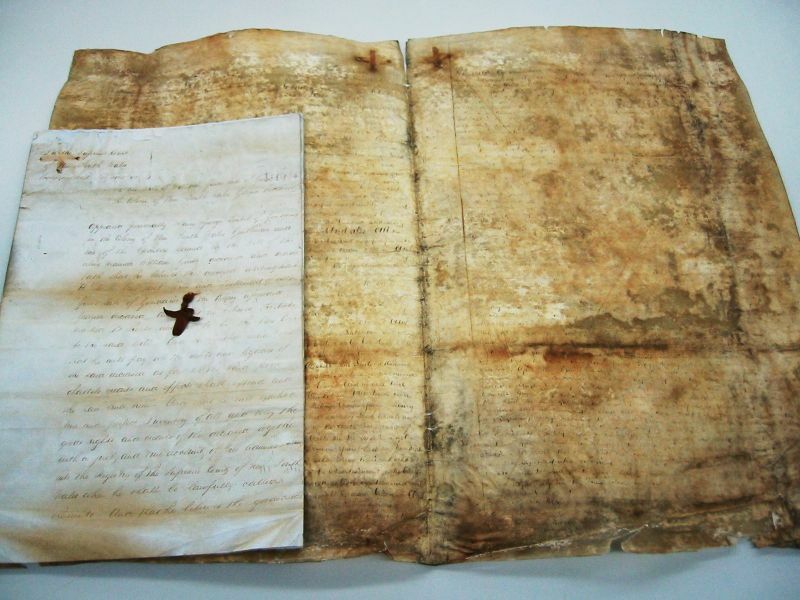 When State archives that are damaged are requested by a reader, to view in the reading room, they are assessed and treated by our conservators. Damage may have been caused by poor storage practices, unfortunate disasters, or bad handling in the past. We refer to these archives as being “Too fragile to issue” and these archives cannot be accessed either by staff or readers until they have been treated by Conservation. Conservation treatments can take a long time to complete. They often require processes that take hours if not days – for example the simple act of pressing a paper document to safely flatten it may take a week or more. Removing old sticky tape with solvents can be both hazardous and time consuming. Treating mould damaged documents is also hazardous and must be done in a fume hood. When you request a damaged archive it is placed in a queue awaiting treatment. We make every attempt to get through requests quickly, and try to fit simple treatments into lulls in other treatment cycles, however due to the length of many treatments and the number in the queue ahead of you, it may take some time to get to your archive. Preservation describes a group of activities intended to ensure that State archives survive for as long as possible. Archives that are allowed to deteriorate or become damaged will become difficult to access and only effective preservation strategies will protect them from this fate. In practice much of what constitutes preservation is actually commonsense, and if implemented will save money, time and resources in the long run. 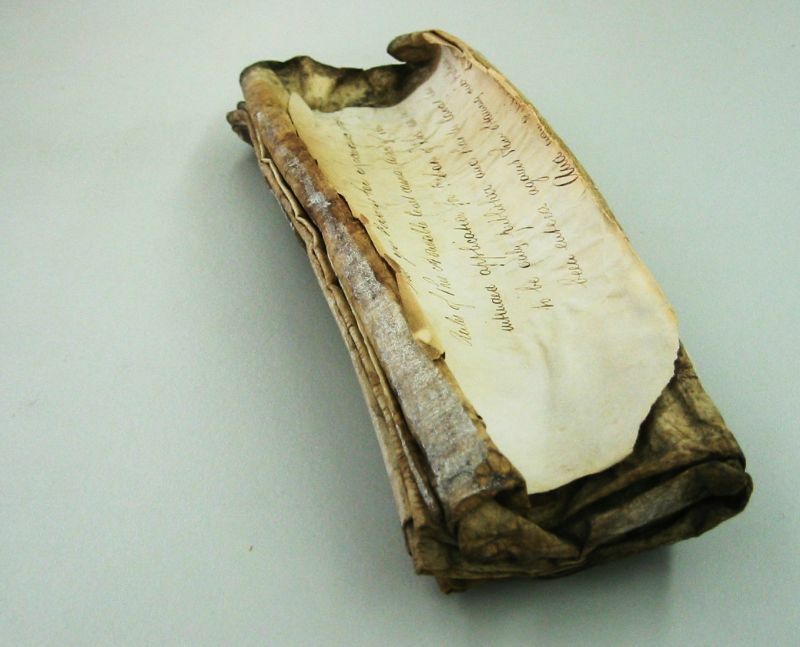 Rough handling and poor storage often results in documents being torn. 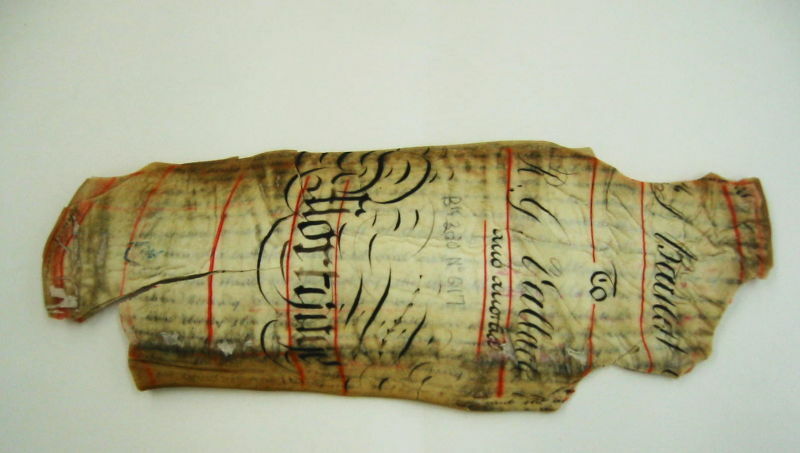 It is common for these documents to have then been repaired with unsuitable materials such as sticky tape or tar-backed paper tape. 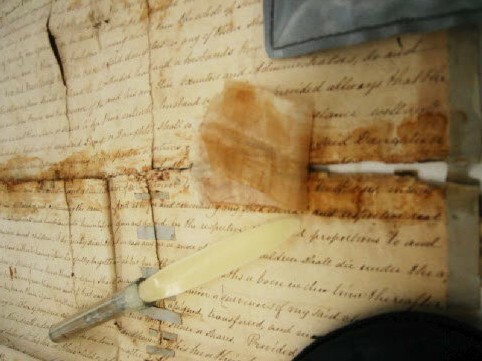 Conservators remove the old repairs, clean the document and then repair the tears with suitable materials such as Japanese tissue and wheat starch paste. 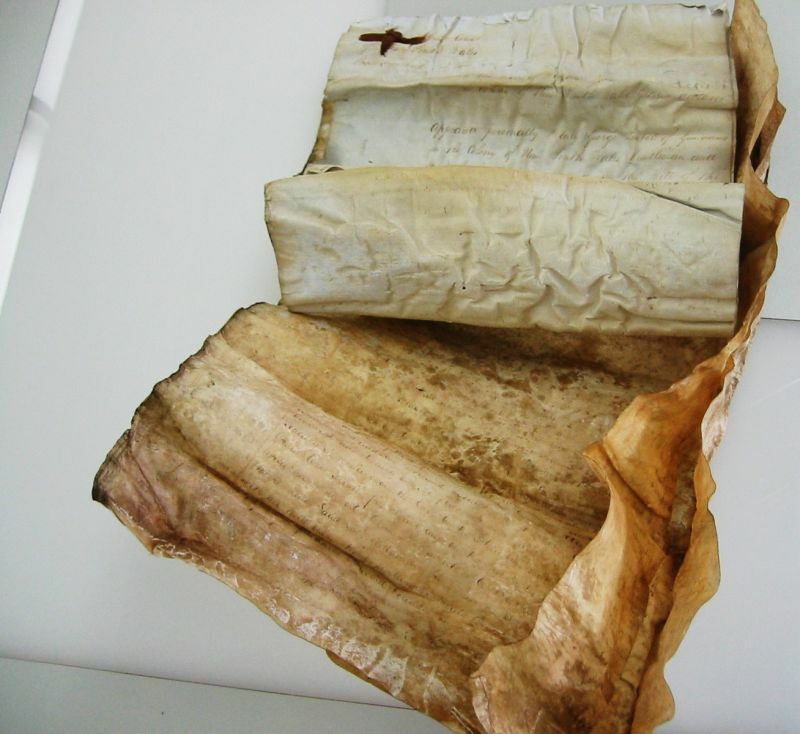 Parchment is made from chemically treated and stretched animal skin and when it comes into contact with water it shrinks, blocks together and becomes discoloured. 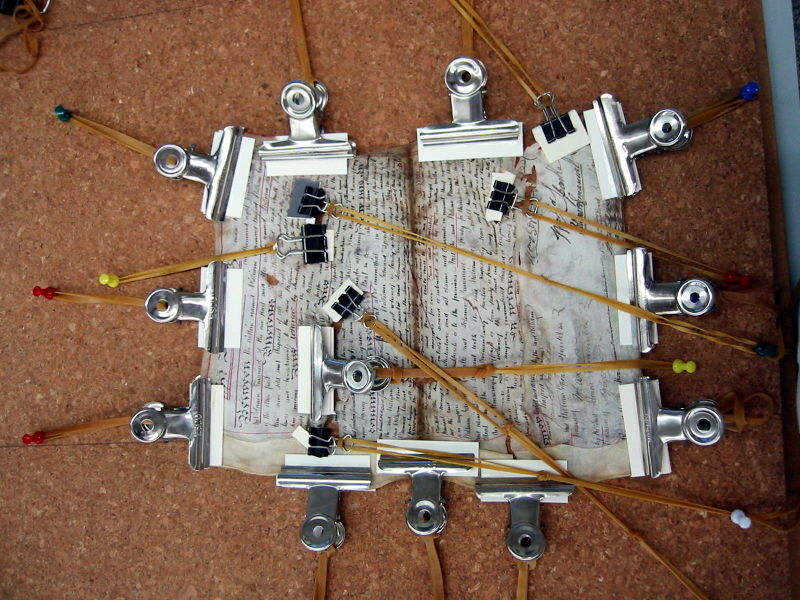 Conservators use techniques similar to how the parchment was created to flatten and repair it. This Primary Application Packet is severely desiccated and shrunken. It was softened with solutions of alcohol and water and then softened in a humidity chamber so that it could be unstuck and stretched flat. 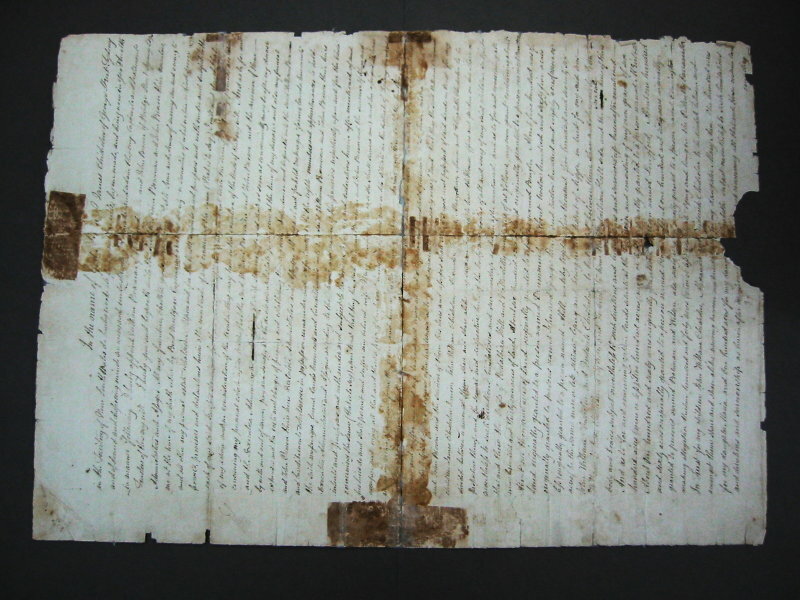 Before treatment – parchment is desiccated, stuck together and has shrunk. 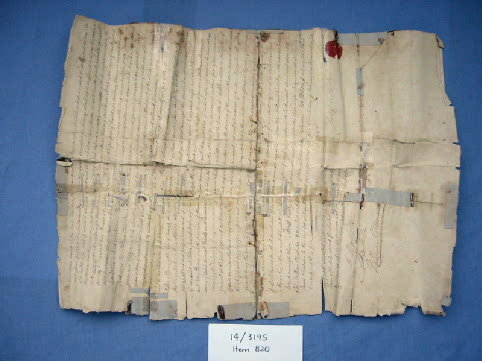 After treatment – paper and parchment have been flattened and repaired.